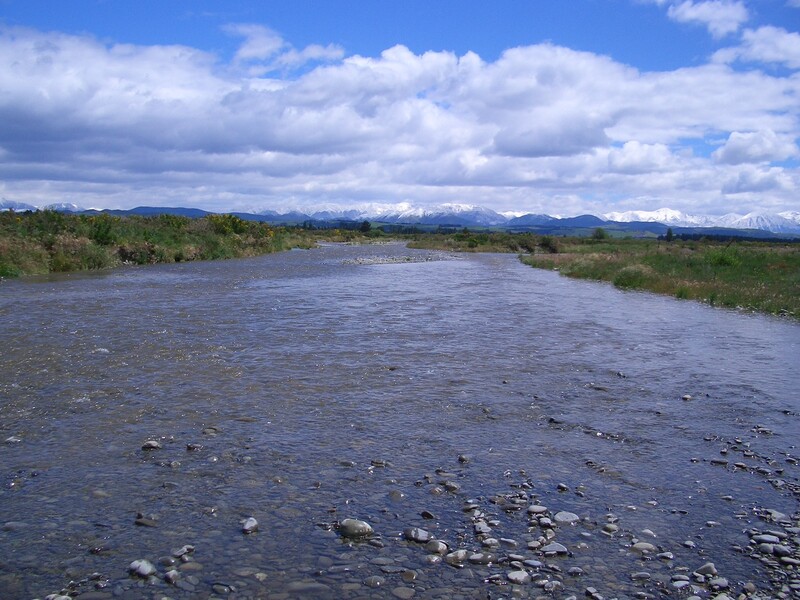 Sciblogs | New Zealand river water quality – good news or bad? New Zealand river water quality – good news or bad? Improvements in some components of river water quality are encouraging, but it’s too early to declare victory, says NIWA’s Dr Scott Larned. 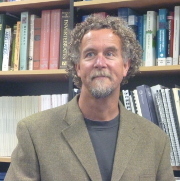 In a recently published paper in the New Zealand Journal of Marine and Freshwater Research, Dr Larned reported ten-year trends in New Zealand river water quality. He tells us what has improved and what has degraded, the reasons we can’t be sure about causes of those changes, and how historical land use continues to affect our rivers. It seems amazing that any aspect of water quality is improving. Isn’t this good news? There is good news and bad news. Water quality is a bit complicated because numerous variables are measured in river monitoring programmes. For some variables, rapid improving trends are underway, and for others, the trends are degrading. At many sites, variation in the data prevent us from drawing conclusions about improvement or degradation in a given variable. At other sites, water quality is clearly improving, but very slowly. Gradual improvements are only moderately good news, as it could take decades for water quality to attain the state that communities desire. It’s too early to declare victory, and urban and pastoral land management practices that improve and maintain good water quality need to continue. On the other hand, some degrading trends do not require urgent action. For example, we reported increasing trends in faecal bacteria (using the indicator bacterium E. coli) in rivers of native-forest catchments. These trends may be associated with warmer water temperatures, and/or growing populations of wild animals; in either case, the best response is a watching brief. Ammonium concentrations are decreasing at many river monitoring sites, which sounds encouraging because ammonium is used by river plants and algae that can grow to ecologically unhealthy levels. But ammonium only makes up a small proportion of the dissolved nitrogen used by river plants and algae; the remainder consists of nitrate, and there is little indication of a nationwide decrease in nitrate concentrations. In addition to ammonium, concentrations of total phosphorous and dissolved reactive phosphorous (the form of phosphorus used by river plants and algae) are declining at many sites in pastoral and urban catchments. Those improving trends were pretty rapid, so it might take a few years rather than decades to see real ecological benefits. That’s relatively better news. What’s driving trends in water quality? Most water quality analyses are designed to detect patterns and associations, but not causes. For example, we found that nitrogen, phosphorus and E. coli concentrations generally increased and water clarity generally decreased as the proportion of catchments composed of high-intensity agricultural and urban land cover increased. However, we do not know the mechanisms that cause these associations. The direct causes of individual water-quality trends are rarely identified because quantitative data about soil erosion, nutrient leaching, storm drain discharge and other mechanisms are scarce. The availability of mechanistic data is gradually increasing, partly due to collaboration between government and primary sector groups. In the future, a shift in the focus of water quality analyses from patterns to causes will enable us to encourage management actions that have beneficial effects, and discourage actions that have adverse effects. How do historical land use practices affect water quality today? If you collect a bucket of water from a groundwater-fed river, it will contain nitrate and other contaminants with a range of ages. The youngest contaminants originate from recent land use near the river and are leached to shallow groundwater then move short distances to the river channel. The older contaminants originate from historical land use far from the river, and move through deep aquifers for years to decades before emerging in the river. Current river water quality represents the mixture of young and old contaminants. Recent improvements in land use practices should reduce the concentrations of young contaminants to rivers, but the ‘legacy’ contaminants from historical land use may continue to affect water quality for decades to come. While we might see improvements in coastal catchments within a few years, on large alluvial plains it’s going to be a long time before we see large improvements in groundwater quality. Legacy nitrate contamination is well documented in the Rotorua Lakes and Lake Taupo catchments, but it probably affects groundwater-fed rivers in all regions. Where is river water quality worst and best? In general, the poorest river water quality in New Zealand occurs in the groundwater-fed rivers of low-elevation alluvial plains. Most urban centres and areas used for intensive agriculture are located in these areas, and the local rivers are particularly vulnerable to legacy contaminants. There are no practical treatment systems available for removing legacy contaminants in deep groundwater, but surface water systems such as constructed wetlands may be used to reduce contaminants in emerging groundwater, before it enters sensitive rivers and lakes. River water quality tends to be best in rivers that drain native forest-dominated catchments; these catchments are minimally affected by human land use. We tend not to monitor water quality in native-forest catchments very intensively, but we need data from these catchments to assess the effects of climate change and other large-scale phenomena, and to provide realistic comparisons for rivers with compromised water quality. This article does absolutely nothing to further our understanding of water quality in New Zealand. Everything stated here is already well known. The fact that water quality is poorest in low-elevation alluvial plains (dominated by intensive agriculture and urban development) is stating the obvious. The typical scientific diversion from making statements about what is causing loss in water quality (by claiming they have not measured it enough to be sure) is embarrassing in this day and age. The old ‘correlation does not mean causality’ has been left behind long ago when it comes to water quality discussions. We know what causes decline in water quality. It is intensive agriculture and urban development. What a weak and fuzzy article. Get a backbone and help make a difference to our freshwater instead of sitting on the proverbial fence. I would be very interested in reading the article but it appears that I have to pay US$50 to be able to access information presumably funded directly or indirectly by taxes and regional rates (plus probably large chunks of unpaid authors/reviewers time), or wait two years for open access. I see that the Royal Society acknowledges that a new science publishing model is needed. However, unless the whole science community accepts the need for change, our anachronistic system will drag on and on.